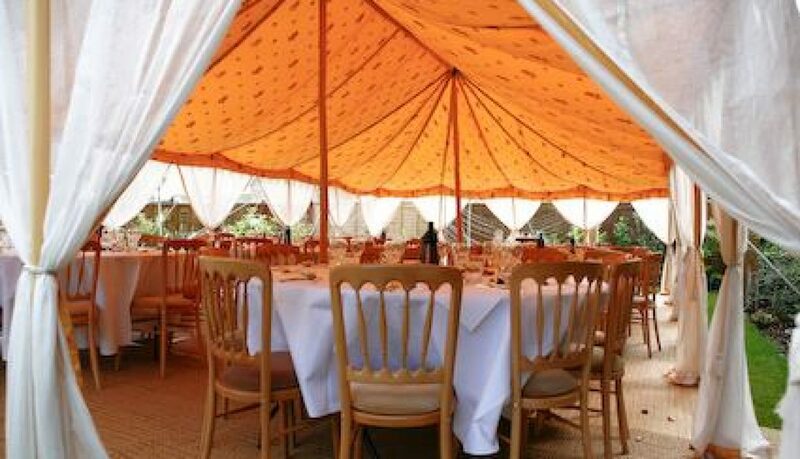 Book your Marquee for Spring Now! Book your Marquee for the upcoming Spring Season Today ! 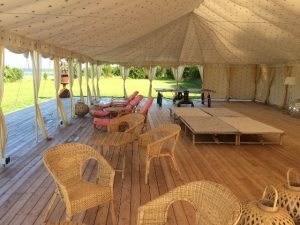 By the time your customized Marquee is ready and packed and Shipped by boat to reach you, it will already be Spring Time !! 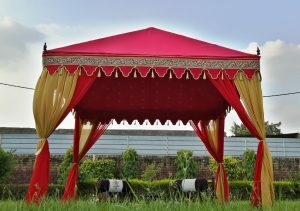 So make no further delays and make a booking with us, customize size, colors, Inner prints, Out Valance…. 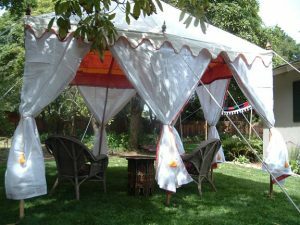 Almost Everything about Marquee ! 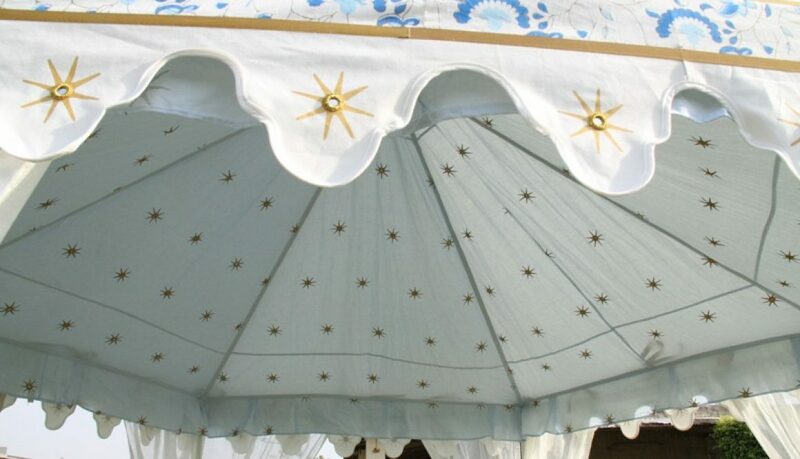 Receive your Tent by economic shipping, by Boat and don’t miss on a single day of the Spring Sunshine !!! 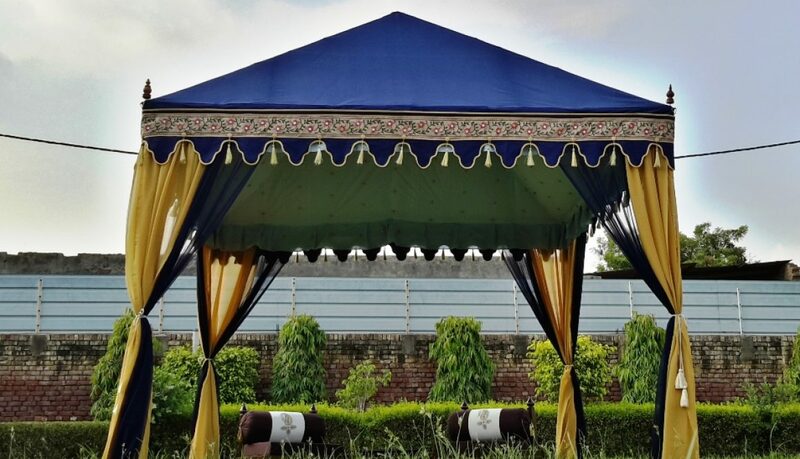 We are the original Indian Tents Manufacturers, established in the year 1972, with the aim of manufacturing and exporting designer handmade tents and cabanas, all over the world. 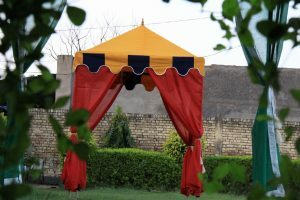 We have the credit of supplying our tents to the UK, USA, Europe, Australia, New Zealand, Africa & Middle East countries. You can contact us directly by email or phone numbers provided on our website. 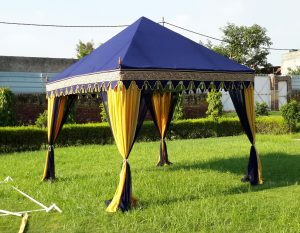 We also make custom tents, according to the size requirements and specifications of our buyers. 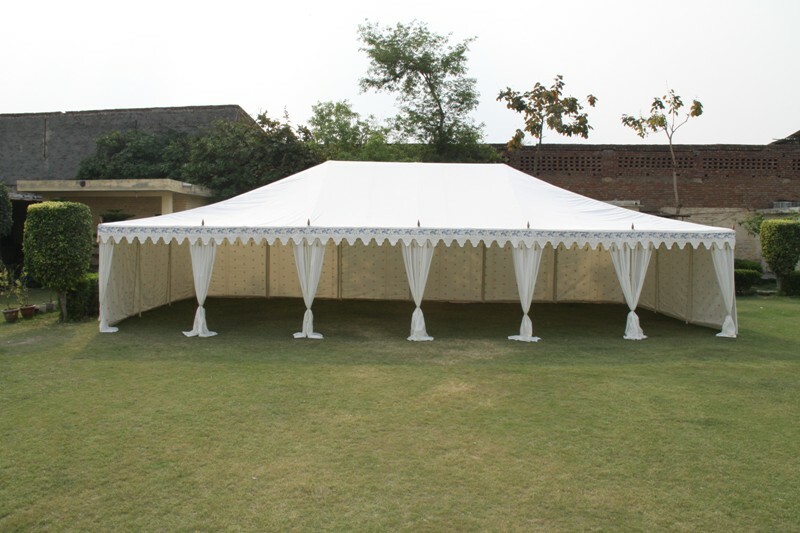 So choose your tent today to make that lasting impression on your guests. 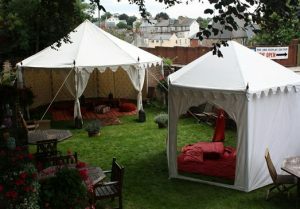 Tents for the garden are a Luxury. 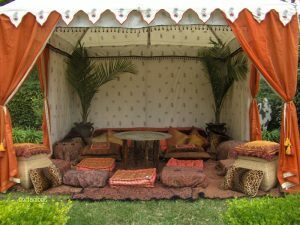 You can sit in the shade, have tea & coffee, or just read a book. The soothing white interiors, with light block prints help you relax your mind and body. 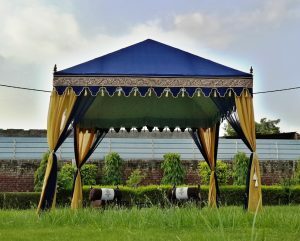 A small canvas canopy in your garden, can add an extra charm to it. 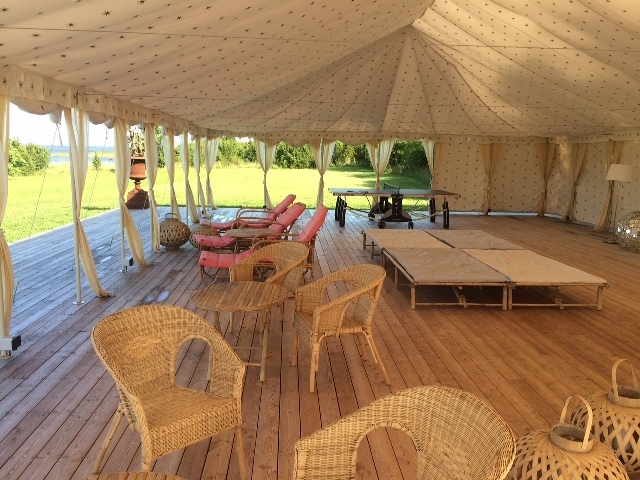 It becomes a private place to relax and unwind, after a hectic working week. 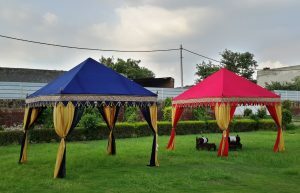 We are posting 5 of our best seller tents. 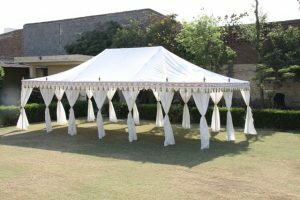 Our tents come in various colors and hand block prints, and you can also customize the size, interiors, colors, prints, almost everything. 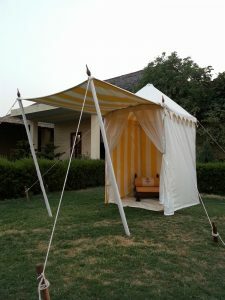 Make your own Tent with us, today !! !